If your skin is perpetually dry, look for humectants. They draw water to the skin, acting like water magnets. Look for ingredients like lactic acid, glycerin, alpha hydroxy acids, hyaluronic acid, urea and sorbitol. These ingredients typically draw water from the deeper epidermal layers and move it up to the upper epidermal layer (stratum corneum), thereby hydrating the skin cells. Has your skin lost its elasticity, so it’s no longer pump and supple? 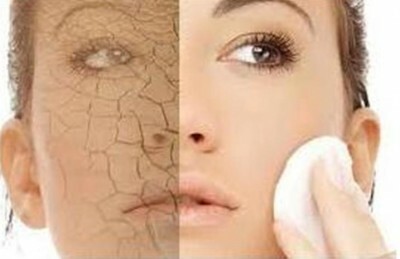 That may be due to spaces in between skin cells created by various culprits such as harsh weather conditions, sun exposure, pollutants in the air or the natural aging process. Emollients act to fill up the spaces to smooth skin out. If your skin needs some pumping up, look for lanolin, mineral oil, petrolatum, fatty acids and ceramides. Under the epidermis (the outer layer of skin) is the dermis which comprises mainly collagen and elastin fibers. Made of skin proteins, they provide structural support and elasticity to the skin. It’s here that wrinkles start. To reduce wrinkles and sagging skin, look for collagen and elastin boosters such as copper peptides, vitamin C, rose hip oil, hyaluronic acid and retin-A. Antioxidants exist plentifully in colorful fruits and vegetables and are well-known for busting damaging free radicals. When antioxidants are used in skin care, they help to prevent cellular damage to the skin. Research showed that antioxidants work on different levels, from protecting the skin from sun damage and skin cancer to reversing skin discoloration to preventing wrinkles. Examples include vitamin C, vitamin E, B vitamins, selenium, Coenzyme Q10, alpha-lipoic acid, retinoic acid and flavonoids found in green tea and chocolates. Contact us today for a skin analysis to determine the kind of moisturizers that work best for your skin type.